Kansas City pitcher Brad Keller, Chicago White Sox shortstop Tim Anderson and manager Rick Renteria received suspensions for taking part in a benches-clearing incident between the teams on Wednesday. Joe Torre, chief baseball officer for Major League Baseball, announced the suspensions on Friday. Keller was suspended for five games and fined an undisclosed amount for intentionally throwing at Anderson. Anderson and Renteria both were suspended one game and also fined an undisclosed amount for their actions during the skirmish. Renteria served his suspension Friday night when the White Sox took on the Tigers in Detroit. The suspensions for Keller and Anderson are delayed pending appeals. –Mets ace Jacob deGrom was scratched from his scheduled Saturday start and instead will undergo an MRI exam after his right elbow was “barking,” according to New York manager Mickey Callaway. Callaway told reporters that deGrom felt pain while playing catch on Thursday. The Mets sent deGrom back to New York on Friday. Callaway said the team would proceed cautiously with deGrom, who underwent Tommy John surgery in 2010. DeGrom, the reigning National League Cy Young Award winner, was roughed up badly in each of his last two starts to see his ERA soar to 3.68. –The New York Yankees signed veteran first baseman Logan Morrison to a minor league contract. MLB.com reported that Morrison has an opt-out date of July 1. He reportedly will make $1 million if added to the big league roster. Morrison, 31, was an unsigned free agent after batting .186 with 15 homers and 39 RBIs in 95 games for the Minnesota Twins last season. 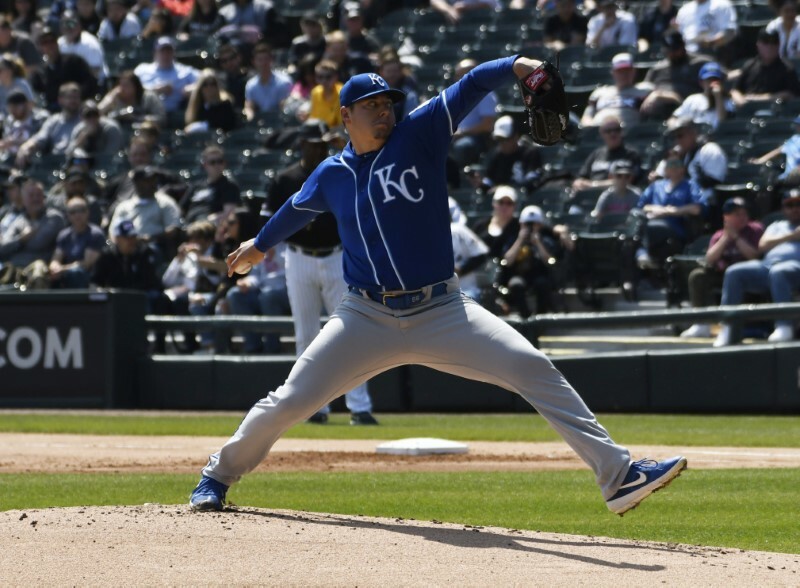 He suffered a torn labrum and underwent season-ending surgery in August. The signing of Morrison gives the Yankees insurance in case a foot injury suffered by first baseman Greg Bird turns to out be more serious than expected. Bird is one of 12 Yankees on the injured list. –The Boston Red Sox placed infielder Eduardo Nunez on the 10-day injured list, retroactive to April 18, due to a mid-back strain. Nunez, 31, is batting .159 with five RBIs in 17 games this season. The team also designated right-hander Erasmo Ramirez for assignment and recalled infielders Tzu-Wei Lin and Michael Chavis from Triple-A Pawtucket. (Reuters) – Tesla Inc said on Friday that four members of its eleven-member board would be leaving over the next two years, as the electric car company looks to streamline its board. Brad Buss, Antonio Gracias, Stephen Jurvetson, and Linda Johnson Rice will not be standing for re-election in the upcoming annual meetings of stockholders in 2019 and 2020, the company said https://www.sec.gov/Archives/edgar/data/1318605/000156459019012123/tsla-8k_20190418.htm in a regulatory filing. 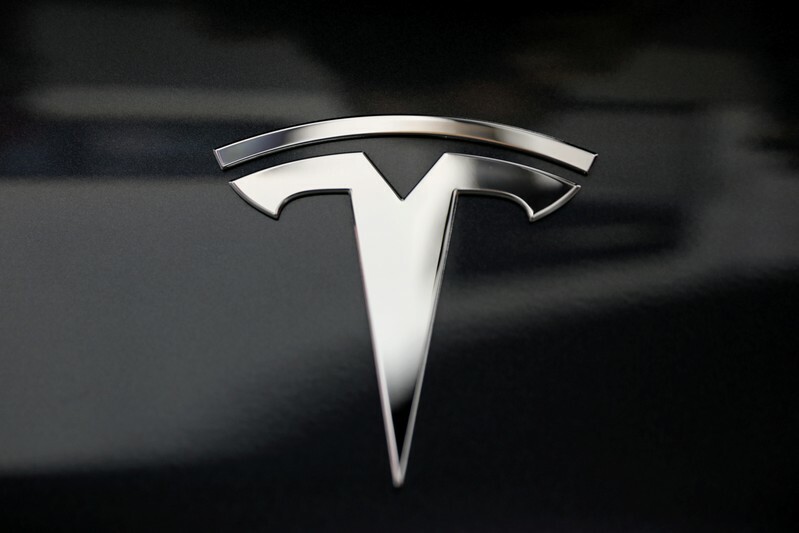 Tesla said the decision did not result from any disagreement between the company and the directors. Of the four members who would exit the board, Buss and Gracias were part of Tesla’s disclosure controls committee, overseeing the implementation of the terms of the consent agreement between Tesla and the SEC. Buss was also the chief financial officer of solar panel installer SolarCity for two years before retiring in 2016. Tesla bought SolarCity that year. Gracias has been an independent director at Tesla since 2010. Last May, proxy adviser ISS recommended that investors vote against his election to the board and called him a non-independent director. The proposed changes in the board come a couple of weeks after Elon Musk’s position as the chief executive officer of Tesla was secured after a federal judge urged the billionaire to settle contempt allegations by the U.S. Securities and Exchange Commission over his use of Twitter. Musk was sued by the SEC last year for tweeting that he had “funding secured” to take the company private. He settled the lawsuit, agreeing to step down as chairman and have the company’s lawyers pre-approve written communications with material information about the company. But he was again accused of violating that settlement by sending a tweet about Tesla’s production that had not been vetted by the company’s attorneys. On Thursday, a federal judge ruled that Musk and the SEC would get another week to settle a dispute over Musk’s use of Twitter. WASHINGTON (Reuters) – U.S. authorities on Thursday arrested a former U.S. Marine who is a member of a group that allegedly raided the North Korean embassy in Madrid in February and stole electronics, according to two sources familiar with the arrest. Christopher Ahn was arrested and is expected to be arraigned on Friday in federal court in Los Angles, according to a law enforcement official and a source close to the group. The U.S. Justice Department declined to comment. In April, investigators said the intruders, self-professed members of a group seeking the overthrow of North Korean leader Kim Jong Un, removed computers and hard drives from the embassy before fleeing to the United States, where they handed the material to the FBI. Sources said the material had been returned by Spanish authorities to Pyongyang’s mission. 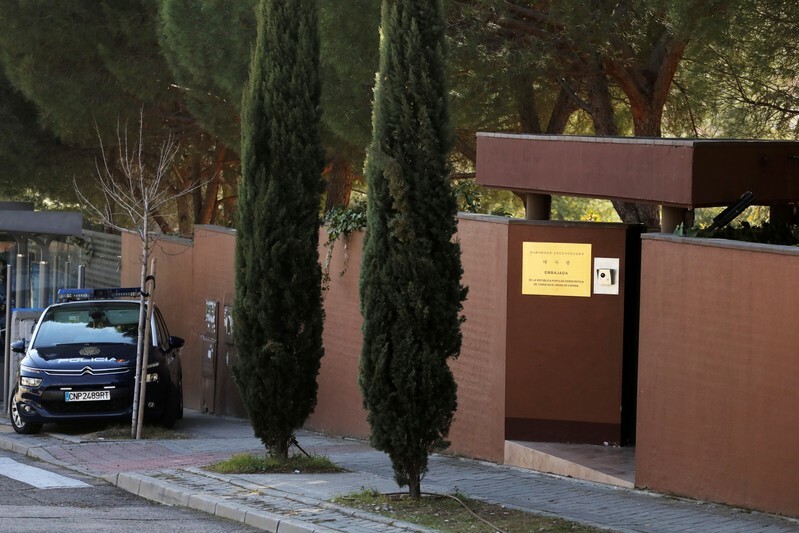 A group of at least 10 people stormed into the embassy in February, restrained and physically beat some personnel and held them hostage for hours before fleeing, the Spanish court said earlier. The anti-Kim group, which calls itself Cheolima Civil Defense, said the raid was not an attack and that it had been invited into the embassy. The document included the names of the leaders of the group, some of whom are believed to be in the United States, while others could have left for other countries. The court is seeking their extradition. (Reuters) – A new opponent for Briton Anthony Joshua’s June 1 heavyweight fight in New York will be announced next week, promoter Eddie Hearn said on Twitter on Friday. 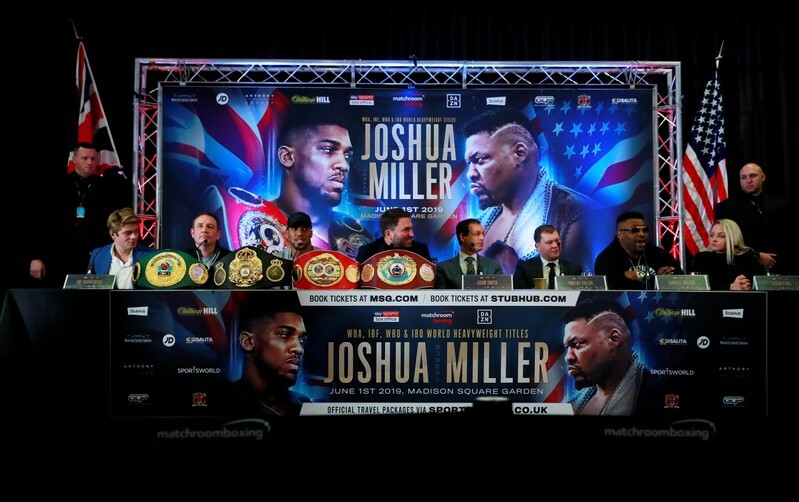 Joshua, the WBA, IBF, WBO and IBO world champion, had been scheduled to fight American Jarrell Miller but the New York State Athletic Commission refused to sanction the fight, saying that Miller had committed a violation relating to use of a prohibited substance. Miller has denied taking a banned substance. “I have NEVER knowingly taken any banned substance and when I found out the news last night I was totally shocked,” Miller said on Instagram. ESPN reported on Friday that Miller had also failed a second test for another substance. 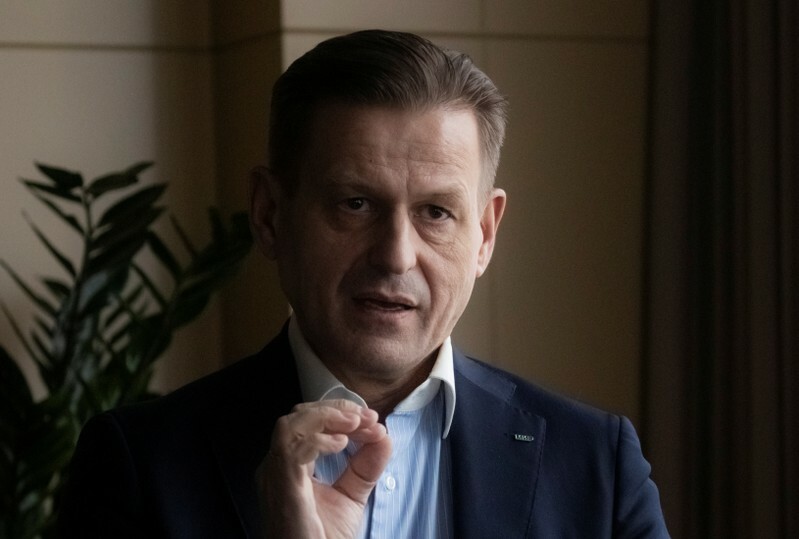 Reuters could not confirm either test and the Voluntary Anti-Doping Association, which reportedly administered the second test, could not be reached for immediate comment. “Remember don’t believe everything you hear and see. The facts will prevail and I shall be vindicated,” Miller said. 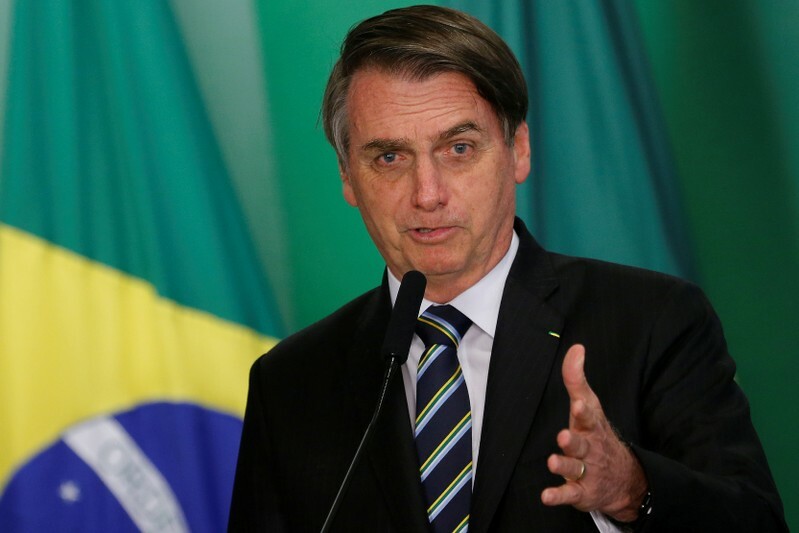 BRASÍLIA (Reuters) – Brazilian President Jair Bolsonaro’s resistance to the privatization of the national postal office has been broken, a senior government source told Reuters on Friday asking for anonymity because the matter remains private. This change of stance has allowed the economic team to consider ways to sell the state-owned company, the source said, referring to Empresa Brasileira de Correios e Telégrafos. The rationale is that a private owner would modernize services and more quickly respond to changes in the marketplace such as responding to growing demand from e-commerce firms. The national postal service did not immediately respond to a comment request. Economy Minister Paulo Guedes told Globonews TV this week it would be “a very big leap” for the government to privatize oil major Petroleo Brasileiro SA, which was at the center of an epic corruption scandal in Brazil. Instead, Guedes said, the president would consider the sale of another key state-owned company. That company, according to the source, is the national postal office. Ostensibly, Guedes has insisted that the federal government should reduce the size of the state to cut public debt, making companies and the economy more efficient. He has also pointed out that excessive state control over businesses opens up the door to corruption. After the findings of the Mueller probe failed to produce evidence of Trump-Russia collusion, the mainstream media turned its attention back to getting the president out of office. Regardless whether no collusion or obstruction was found by the FBI Special Counsel’s two-year investigation, on Thursday liberal cable networks desperately continued pushing the prospect the report could somehow lead to the president’s impeachment. MRC analysts examined a 24-hour span of coverage on liberal cable (CNN, MSNBC) and broadcast (ABC, CBS, NBC) networks, from 11:00 a.m. EDT on Thursday to the same time the following day, for every instance where the term “impeachment” — or some permutation thereof — was used by hosts, analysts, or contributors. In total, the word came up 309 times, with the vast majority (286) coming from cable networks CNN (148) and MSNBC (138). NewsBusters also notes cable pundits on CNN and MSNBC referred to Mueller’s report as a “road map for impeachment,” terminology that has been used by several leftist publications and the president’s former aide Sam Nunberg on MSNBC. While journalists who covered the Russia probe non-stop tried to backpedal by keeping impeachment hopes on the table, NewsBusters reports Democrats were more reluctant to touch on the issue. President Trump meanwhile has maintained his innocence and holds firm it was the Democrats, including former presidential contender Hillary Clinton, who committed crimes needing to be investigated. Nearly two-thirds of Americans were against a cashless society, according to a recent survey conducted by CivicScience. Mobile payment and cashless stores are popping up across the country, between stores like Amazon Go and payment options like Apple Pay. Using these services requires access to the banking system, namely a bank account and a credit card. According to the Federal Deposit Insurance Corporation, in 2017 FDIC survey showed that 6.5 percent of U.S. households were unbanked, meaning they lacked a checking or savings account, and an additional 18.7 percent of households were underbanked, meaning they had a checking or savings account but obtained financial products, like money orders or payday loans, outside of the banking system. As Statista’s Sarah Feldman notes, some advocates and legislators worry that an increasingly cashless world will further disenfranchise America’s homeless and working poor, who may fall into these unbanked and underbanked categories. New Jersey and Massachusetts both have laws that prohibit stores from discriminating against customers choosing to use cash. Cities, like Philadelphia, New York, Chicago, D.C., and San Francisco, all have proposed or have laws regulating cashless stores. Advocates of cashless stores point to the increased speed and ease of payment for customers, and the lower rates of theft that cashless places of business experience. Some cashless options, like Square Inc. and PayPal, offer payment services that don’t require a bank account. About 23 percent of respondents from CivicScience’s survey said they were all for or OK with a cashless society. Just under a tenth of respondents did not have an opinion on whether having a cashless society would be a good thing or not. 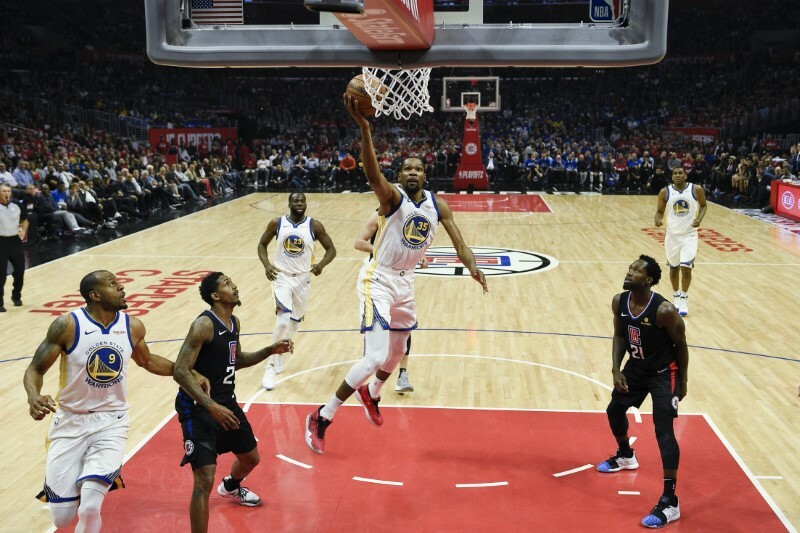 LOS ANGELES (Reuters) – When Kevin Durant rained down shots on the Los Angeles Clippers with his deadly playoff performance on Thursday, he also provided a glimpse of what life will be like for Golden State and their competition without the injured DeMarcus Cousins. In short, less Cousins will equal more Durant — more Durant post-ups, more Durant pull-ups and more Durant brilliance.The Clippers learned the hard way as Durant hung 38 points on them in a 132-105 rout that gave the Warriors a 2-1 best-of-seven first-round series lead. When Cousins suffered a quad injury on Monday that sidelined him indefinitely, it was viewed as a potential roadblock to the team’s quest for a third straight title.Instead, the absence may have unlocked a version of Durant that has led to the past two championships and back-to-back Finals MVPs. Golden State fed their lanky sharpshooter early on Thursday, and Durant repaid them by making his first six attempts on an array of moves.For the game, he finished 14-for-23 from the field and added seven assists. “We said before the game they were going to post (Durant) more,” Clippers coach Doc Rivers told reporters. “Instead of having him at the elbows, they’re going to bring him to the right box and he’s going to score from there most likely. Durant had been making, and taking, less of them recently, though. His shot attempt average has fallen each month since February, and his latest 38-point game was his highest total in more than two months.The two-time NBA scoring champion bristled at the idea that he was ever passive. “I don’t run the show on any team I’ve ever been a part of, I’m just a player – one of the guys,” Durant said. “So, whatever the coach asks me to do I have to be prepared for it. I don’t pass up shots, I just play within the offense”Golden State’s new playoff offense is set to look a lot like its old one – with Durant at the forefront. His team mates are prepared to feed off of his potency.“He came out super aggressive and in kill mode (Thursday). That was all the difference for us,” Golden State forward Draymond Green said. “How many people can stop Kevin if Kevin don’t want to be stopped?”The Warriors and their opponents are about to find out. 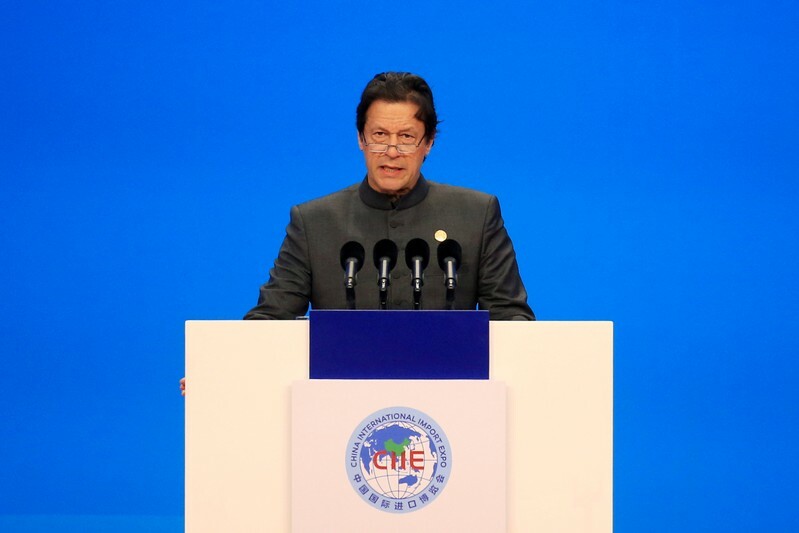 ISLAMABAD (Reuters) – Pakistani Prime Minister Imran Khan said on Friday that he would not hesitate to make more changes to his cabinet if required a day after a major reshuffle that saw the appointment of a new finance minister and nine other ministerial switches. The cabinet shakeup, which comes eight months after Khan took office, included the replacement of Finance Minister Asad Umar, who has been a close ally to Khan for many years, with Abdul Hafeez Shaikh in a renamed role to steer the country out of worsening economic turmoil. Pakistan is on the brink of signing up for its 13th International Monetary Fund (IMF) bailout since the late 1980s in a bid to stave off a balance of payments crisis and ease ballooning current account and fiscal deficits. “I want to tell all my ministers that whoever is not useful for my country, I will change them and bring that minister who is useful for my country,” Khan said during a speech in the northern region of Orakzai. Shaikh, who served as finance minister from 2010-2013 under the opposition Pakistan People’s Party when it was in power, has been appointed as “Adviser on Finance” but will be heading the finance ministry once again. In Pakistan’ it is common for financial experts to be given the title of “adviser”, rather than federal minister, to head the finance ministry when they are not a sitting member of parliament. Umar has been leading negotiations with the IMF but faced criticism over a worsening economic outlook on his watch, with inflation at a five-year high and the rupee currency down about 35 percent since December 2017. The central bank last month cut growth estimates, forecasting the economy to expand 3.5 to 4 percent in the 12 months to the end of June, well short of a government target of 6.2 percent. The IMF paints a gloomier picture, predicting growth of 2.9 percent in 2019 and 2.8 percent next year. In a speech laden with cricket metaphors, Khan, who led Pakistan’s cricket team to World Cup triumph in 1992, said such changes were part of good leadership. “The captain has one objective and that is to get the team to win. The prime minister also has one objective and I have only one objective, to help my people win, to help them rise,” he said.